The Professional Master of Fashion. Comunicación y Gestión is aimed at those who want to stand out by working in the world of fashion . With our academic method we acquire the necessary knowledge that will allow us to understand the internal functioning of the sector and the trends that move it. Our method teaches how to use the communication and management tools necessary to work in the different disciplines that make up the fashion market. The program is focused directly on employability and offers professional practices in companies in the sector to students once the Master. The faculty is made up of professionals from the academic and professional sectors, which gives a broad and realistic vision to our students. The classes take place in our facilities in Granada and in emblematic places of the city. This methodology is born from the idea of uniting fashion with other artistic and cultural expressions of our environment. Master's sessions are also held in Madrid, in the facilities of collaborating organizations such as the Costume Museum. The sectors of fashion and beauty are those that suffer more delay in terms of digital transformation, according to the I Study of Digital Transformation of the Spanish Company. 46% of fashion companies have not started any digital transformation process. 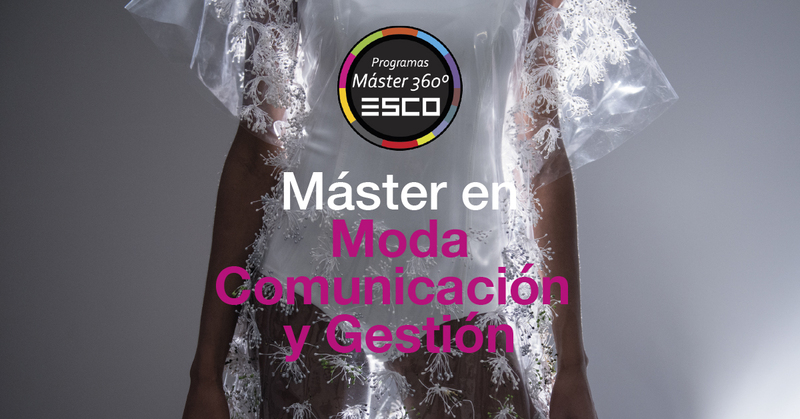 At ESCO we have been training students in Management and Communication for Fashion companies for many years, a sector in continuous growth with needs for innovation and immersed in processes of digitalization. If you want to anticipate the needs demanded by the sector, and be part of the digital transformation of the world of fashion, enroll in our master.